There's a crossroads that an artist comes to when they make it big. They can stick with what worked and run the risk of stagnating or, worse, drawing unfavourable comparisons with the work that made them famous, or they can go in a different direction to show their artistic depth. It may seem strange to say this about French group M83, essentially these days a solo vehicle for maestro Anthony Gonzalez, who have after all been around for a good 15 years now. But for all the kudos and critical praise they received over that time, 2011's album Hurry Up, We're Dreaming undeniably took them to a new level. Rightly so, it was a masterpiece and one of the best albums in many years, but crucially it was a huge critical and commercial success, putting M83 and Gonzalez on the big stage for the first time. Now Gonzalez is doing film scores for Tom Cruise films, and appears to be the producer of vogue for such big names as Daft Punk, Haim and The Killers. M83 has always had plenty of fans, but with this new-found fame, Junk is almost certainly the most widely anticipated M83 album yet. Faced with such pressure, Gonzalez has decided to take things in a bit of a different direction. The sound of M83 has always been heavy on nostalgia, very much influenced by the synth and distortion of late 1970s/1980s. Even Hurry Up, We're Dreaming will have been frequently described during reviews as "John Hughes infused" or sounding like something out of The Breakfast Club or Sixteen Candles. But while Gonzalez wears his influences on his sleeve, M83's music has always had a sound that's very much distinct as their own. 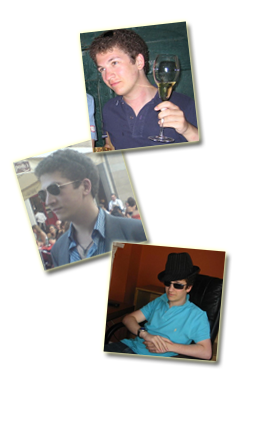 It's modern music with a nostalgic twist. With Junk Gonzalez mines those same sources, but with an altogether less subtle, full-fat approach. 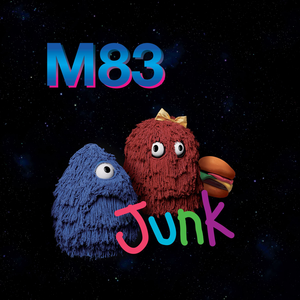 While previous M83 work can be described as some immaculate quasi-orchestral arrangements with a nostalgic flavour, the aptly named Junk dives head-first into the cheesiest, tackiest neon crevices of Gonzalez's childhood. This explains the intentionally tasteless album cover; awful fonts and colours, with what looks like some kind of happy meal toy. The entire premise of Junk appears to be celebrate the guilty pleasures of childhood. Gonzalez himself has described the album as being an "organised mess", an eclectic collection of songs that shouldn't work, but somehow do. To paraphrase this in plainer English, the intention appears to have been to create an album that you enjoy in spite of itself, a collection of guilty pleasures. This is a very good way to describe the album as it happens, music emulating the kind of trashy pop we'd probably prefer to forget ever existed, except so finely crafted, so expertly produced, that you end up loving it as much as you hate it. The end result is something a bit like if Anthony Bourdain tried to cook a Big Mac. The best example of this is probably lead single Do it, Try it, which is such a daft, ridiculous song, but undeniably catchy. Sometimes this approach comes off beautifully, for example with Walkway Blues, which is something of a masterclass in how to do cheesy power-pop well, sounding a bit like what we can only really describe as a techno Elton John. There are even moments of classic M83, including the wonderful Solitude, which sounds like a James Bond theme song that never was, and notably the achingly bittersweet album closing track Sunday Night 1987. But if the intention is to sidestep following up from Hurry Up, We're Dreaming's michelin starred brilliance by saying "hey let's be honest sometimes we really just want McDonalds", the truth is it doesn't quite work. The introspective tracks are just too saccharine, and the upbeat songs too over the top, and then there's the elevator music instrumental tracks. It's a "mess" that gets just a little bit too out of hand. At the end of the day, junk food, no matter how well done, is still junk food. The experience of listening to this album is a bit like going to one of those hipster bars that tries to look like a filthy dive, "ironically". That said, this album is just as addictive as junk food, we can't seem to turn it off! So by no means a masterpiece, but quite enjoyable.